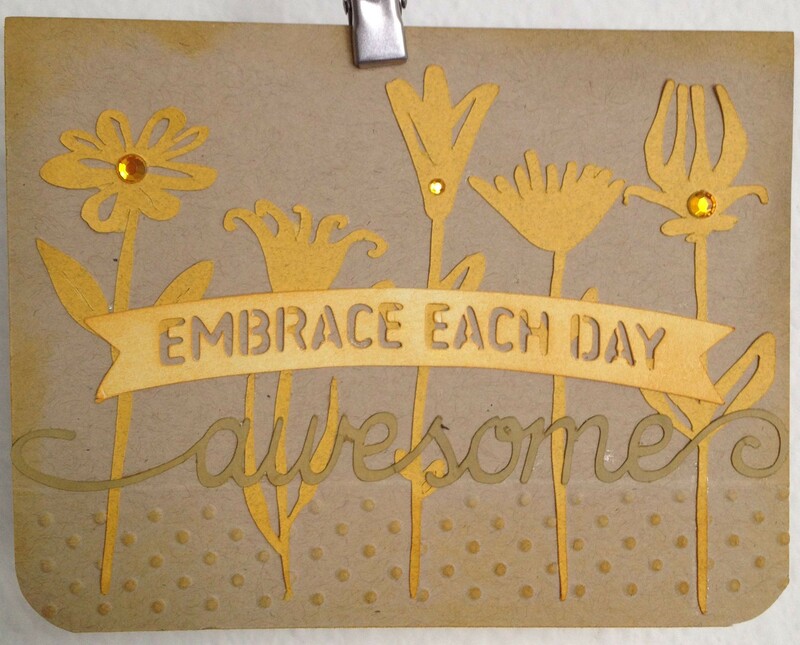 There is just something wonderful about Kraft cardstock for me. It has just enough color to add interest to a project and is neutral enough to not detract from any other color I wish to add. So here I sit with a dozen sheets of Kraft cardstock and a sense of anticipation. For the next 3 weeks I will be showing you the cards I have made using this awesome media. I hope you like them and that they provide a springboard for your own creative process. The first card using a Queen Anne’s Lace stamp is crisp enough to add interest without adding any color at all. 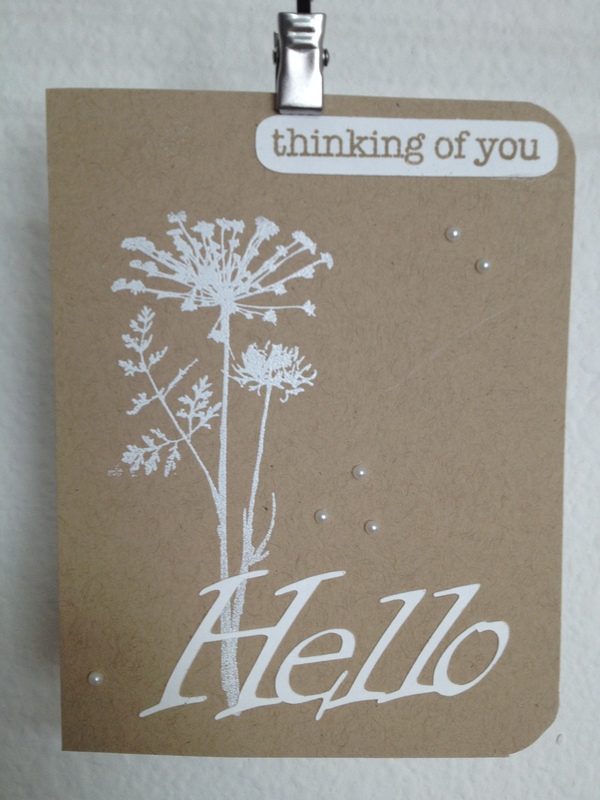 I cut out the Hello with my Silhouette ( not sure what font I used- sorry) and used Tim Holtz’ distress ink for the ‘thinking of you’ sentiment. I am not very good at adding more than 1 sentiment to a card so this is my first attempt at doing so. Adding several pearls finished it up nicely. Inkadinkadoo stamp “Meadow”; Hero Arts “Everyday Sayings” One of the things I promised myself that I would do was to go through my stash of die cuts and use a bunch of them up. I used Wild Honey Distress Ink to color the banner and some white flowers that I had cut long ago and used another Distress Ink for the “awesome”. In order to ground the flowers I used an embossing folder border along the bottom of the card. This card was not my most favorite but it was okay and again I used 2 sentiments. Whoot whoot!